My friend Steve always used the term “Disciples of Flight” when describing certain pilots who seemed to possess qualities he admired. When I was a young man my father taught me to hunt and fish. I loved the outdoors and spent nearly every hour of each day thinking about stalking a deer on the opening day of the hunt or pulling a big trout from my favorite hole. I learned to tie flies, reload bullets and sharpen my knife. I read every publication I could get my hands on about hunting and fishing. I couldn’t wait to get out for the next adventure. Later, I got my drivers license and my interests expanded to include cars and motorcycles. I worked jobs, saved money and pursued every option to get my own car. Then, every cent I could get went toward buying big wide tires, stereo systems, and gas. I tried every trick to get more performance out of it. I was at home in my car and loved cruising down the road listening to the roar of the loud pipes. Nearly everything I did was an effort to feed my passion for cars. Now, many years later I am still interested in fishing, but I don’t lay awake at night planning my next adventure. I am still intrigued with stalking a deer, but with my camera rather than a gun. I have a classic Camaro project in the garage, but I don’t seem to have the motivation to go work on it. I bought a brand new truck 6 months ago and haven’t even opened the hood to look at the engine yet. These passions I had as a young man have been replaced with something even more interesting and engaging. In 1986, I earned my private pilots license. The training was challenging and scared me at times but the day I took off in the little Cessna 150 to fly solo changed my life. When I landed my heart was thumping. Part of it was from the anxiety of the event, but much of it was the exhilaration of what I had just done. I had flown the airplane by myself and now there was no stopping me from achieving the goal of becoming a pilot. That was 28 years ago and nearly 7,500 hours of flight time has been logged. I have lots of ratings and have flown all over North America in many different types of aircraft. My aviation experience has been incredible. I have worked in the aviation world for my entire adult life and have never tired of it. When I wake in the morning I am anxious to get to work and when it is time to go home I leave with hesitation. The love affair has never weakened. In fact, it has only increased with time. The passion I felt for fishing, hunting and cars never compared to the “all in” experience of aviation. A couple years ago my friend Bryan and I began talking about creating a website designed for pilots. We wanted to have a way to share the passion we both felt for aviation. It would need to promote the enjoyment and adventure of flying. The more we considered what we wanted to develop the more we realized that what makes aviation so great is much more than just the next adventure or thrill. I believe greater levels of satisfaction come from learning new things, developing new skills and overcoming the obstacles that come up. I am reminded of my training to obtain my private pilots license. I was overwhelmed with the many things I needed to learn. I was motivated to not only pass the test but to be safe and competent. Learning to make the airplane do what I needed it to do was not easy, in fact it was hard and at times I wasn’t sure if I would ever get it. When I finally heard the examiners words, “you passed” after my check ride I felt incredible and relieved. Now as I look back I realize what really made it so great was my personal progress during the process. That day I had no idea that this graduation was only a small step to a lifetime of learning. As I continued my training for the instrument and commercial ratings I found the same held true. The process caused me to stretch and grow and was discouraging at times. But the anticipated satisfaction of the end result always made it worth the effort. Receiving the license was a great outward recognition of achieving the goal. Inward though, I had a keen awareness of my inadequacies and weak areas. The new skills I had acquired were satisfying but it was very obvious I had a long way to go. I moved on to training for the flight instructor rating and eventually the ATP, and finally, initial training at a regional airline. Each of these higher levels of learning was harder than ever, and again, I wanted to quit at times, thinking I didn’t have what it takes. Before my check ride in the EMB120 after 2 months of airline training I wanted to hide, disappear. I felt so inadequate and afraid of failure. The training had been grueling and discouraging. My check ride was scheduled for 2am in Bakersfield California and my nerves were on edge, but the flight went almost perfect. My examiner congratulated me and I went home relieved, thrilled, exhausted and humbled. When I would arrive for my first day at the job I would be again reminded of how small my knowledge base was. I had more to learn. That was 13 years ago and each day since has brought me new experience and learning opportunities. It doesn’t matter weather I am working as a pilot or mechanic. The best news is that there is still so much I need and want to learn. This is exactly why aviation is so compelling and so inescapable. The learning never ends. Somehow Bryan and I wanted to create a source and outlet for information that could feed that need for constant learning and promote more awareness of the concept of progress. The moment we as humans stop progressing is the day we start going backward. No progress leads to depression and dissatisfaction. Growth leads to happiness. For those who think they have reached the highest levels of achievement they will soon find there is plenty more room for growth. In fact, the industry will soon remind them of how little knowledge and skill they do have compared to what they could. Will we ever reach a point where we know enough? I don’t think so. We wanted our site to influence this concept of constant growth and improvement in the world of aviation as well as include the excitement and magic of flying. As we tried to agree on a name for the site we seem to be stumped. The name would need to imply our focus by promoting an ideal and be motivational as something to aspire to. My friend Steve always used the term “Disciples of Flight” when describing certain pilots who seemed to possess qualities he admired. This term was one influenced by a quote in a book by Richard Bach; “the sky will eventually embrace her true disciples”. Through my association with Steve over the years I have often heard him use the phrase “Disciples of Flight” when talking about a particular person and each time have somehow been moved, at least in a small way. When the suggestion was made to name the site disciplesofflight.com it seemed right. It seemed to imply more than someone who just flies. Passion, wisdom, knowledge, humility and skill come to mind. Addicted pilots are always improving and need to feed the fire. We are here to assist. Flying an aircraft is a big responsibility, one with inherent risks. There are anxieties and emotions to be reckoned with, triumphs and discoveries to be enjoyed as well as struggles and problems to be learned from. Pilots need a source to relate to, where they can learn from others and gain insight, where they can find someone who could mentor them or where they could mentor others . I have seen too many who seem to take lightly the craft of flying and have hurt the industry with carelessness, recklessness or lack of skill. We can all do better and that is the focus of disciples of flight. When a new pilot receives their certificate there is an unspoken set of rules and behaviors implied, a code of conduct that never really is verbalized. It admonishes high standard, deep responsibility and an unbreakable commitment to excellence. This code of conduct is what we are about. Flying is fun and rewarding in so many ways. From the pure freedom of flying an old J3 cub to the complexities of corporate or commercial aircraft, it is all magic, and enjoyable. In a highly regulated and rigid industry often burdened with stressful and inconvenient situations we should remember this journey to the sky began with excitement, wonder and amazement for us all. If it didn’t, you are not a disciple. The site will promote genuine devotion, safety, discovery and enjoyment. We will explore strategies for those who want a career, ideas for those who want to explore, knowledge for those who want to improve. Through our collective efforts I hope we can share experiences, insights and techniques that can lead to safe, more affordable and meaningful experiences. We will reach far and wide to find those who can contribute in meaningful ways. When asked to define the meaning of a disciple of flight I have found it difficult to describe. The meaning seems elusive and vague, yet those who hear it seem to immediately understand. It suggests an individual assessment, posing the question “am I a disciple of flight?” and a hope that someday I might be, yet leaving an uncertainty of when or how it could be achieved, or if it ever will be. It suggests a standard that may always be just out of reach, yet never discourages us from our efforts. This is what I like about it, a goal we can always aim for, one that I, only, can determine my qualifications. Our group invites all to be a part of this movement, licensed pilot or not. Historians, dreamers, students and seasoned pilots can come here to fuel and feel the pure passion of aviation. We are committed to providing content for this wholesome addiction. I grew up with no exposure to aviation. I had no idea a normal kid like myself could fly an airplane. When the planets all aligned and I touched an airplane for the first time a change started to occur that has had an impact I could never have imagined. I have flown thousands of hours in hundreds of different models of aircraft. No amount of imagination would have led me to think I would get to do the things I have done or meet the people I have met. Aviation has been a catalyst for me to be better in many ways than I would have been otherwise. Join us in this work. 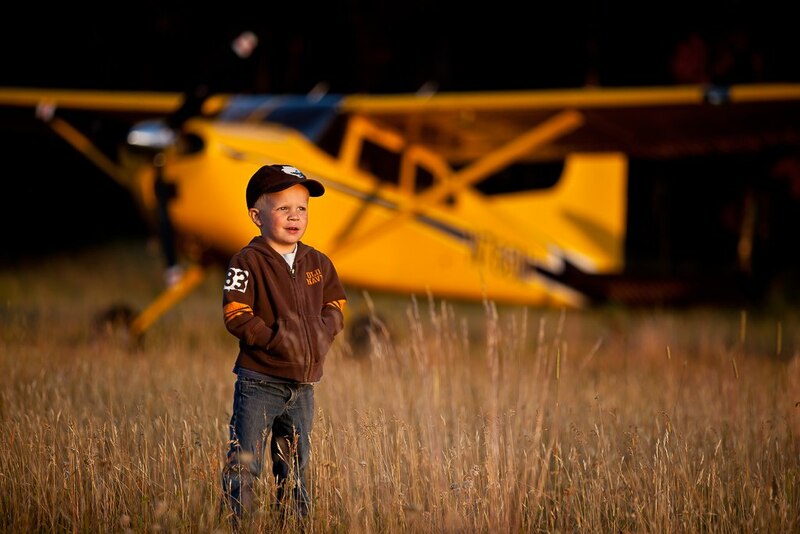 Share the site with your friends and help us preserve the culture that makes aviation what it is. I discovered recently your website and I’m definitely happy and excited to know that there are so many reliable and interesting sources concerning flight, with regards to airplanes or helicopters! Your columns are definitely inspiring me to want to know as much as possible about flying and try to live asap this wonderful sensation! As a matter of fact I’m going to start my training so as to obtain my PPL license in helicopters this coming October, God willing! Thus, I would appreciate if you let me know how could I subscribe to your newsletter!